This girl with fuchsia highlights in her hair and a knit cap is Harco, a 30-year-old web designer. Her fun casual style includes a couple of cotton tops and a short cotton jacket from Hepstar worn with faded cutoff denim shorts from RNA. She’s also wearing cute flowered tights and furry zebra sneakers from RNA. 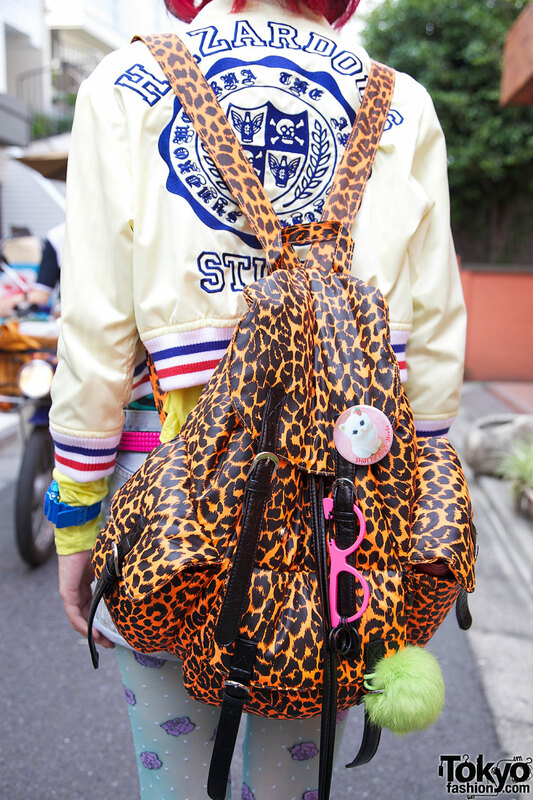 Her vinyl backpack from ANAP features a leopard print. Harco’s accessories include a cute star necklace from Nile Perch, a kitten button on her backpack and a pink and black plastic belt. 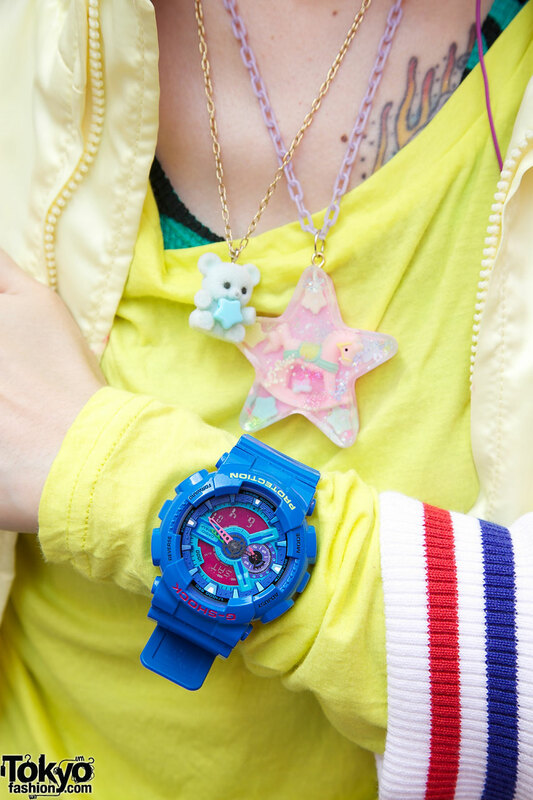 Her blue watch is from G-Shock. When we asked Harco about her favorite fashion brands and shops the answer was RNA, Galaxxxy and 6%DokiDoki. She also told us that her favorite music is by the Ramones. ALL accessories are WIN!!! … except for the mask ……..
i like everything except those shorts and that mask, and those shoes are awesome! The mask isn’t a accessory, in japan it’s polite (if your sick) to wear a mask as in other countries too. Oh and, she’s 30?!?! That’s amazing! Japan is a country where a 30 year old woman can STILL look 16 to us.